What’s the best file format? We prefer to have the art sent to us at the size you actually want it printed on the shirt. Especially if it’s a raster image. Also, we typically prefer to get the file that the art was created in. Text: Please make sure to “Convert text to outlines” so we don’t need to worry about us having the font. You can also send us the fonts with the art. .png with a transparent background at the actual output size. We can also work with .psd or .tiff files at 300 DPI. If the files are too large to upload you can share a dropbox folder with us or contact sales@princeoftees.net with any questions! We try not to charge any art fees and typically include about 30 minutes of free art with every order. This covers most spot color separations. 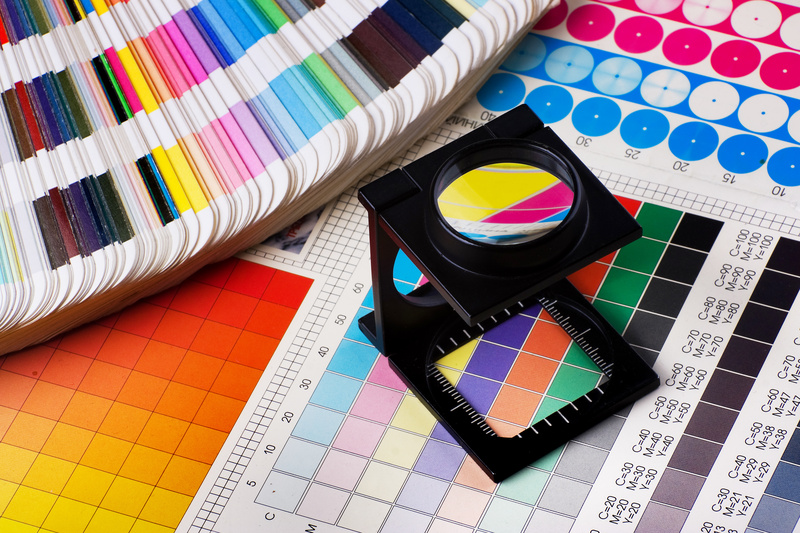 If the art is a full color process or simulated process print we may need to charge to do the color separations for you. If this is the case you will be notified prior to placing your order. Our average cost to color separate a 7 color simulated process job is approximately $50 if we have the high resolution .PNG with Transparent background. We require all art approval through our online invoices or via email. It’s extremely important that you thoroughly review your mockup before approving it. We print to the mockup! We will not be responsible for errors, misspelling, or otherwise in approved digital mockups and artwork. If you make ANY changes, it will definitely add to your turnaround, because we are not superheroes. In some cases, we may have to add a fee to process certain changes, because your order is already begun production, or because your shirts have already arrived. In short, changing things after approval is really really hard and expensive and please don’t do it!! Please please do your best to finalize all the details with plenty of time!!! If you need your order in less than 7 business days, please call us! We do keep room in our schedule for rush orders, and it might be possible. It just depends on how quick you need it, and how time intensive your order is…We’ll do our best! There is an additional charge for rush orders. There are several types of inks on the market. We pride ourselves on using the highest quality inks available, hand mixed to the perfect consistency to create the softest feel and brightest color possible. The feel of the ink, referred to in our industry as “Hand” is mostly dictated by the type of ink we use. There are 4 main categories. This is the standard in the industry. It is a plastic based ink in which the ink sits on top of the fabric, with little to no absorption into the textile. It has a glossy finish and its thicker consistency makes it suitable for almost any fabric. This is our favorite ink type. It’s eco-friendly and extremely soft. It dyes the actual fibers of the garment, changing the actual textile. However, it’s hard to achieve a good opacity, making it very underwhelming on darker fabrics. More recent developments of these inks do have a thicker feel so we can print them on dark shirts, but they will still have a pretty hefty hand if we are stacking a lot of ink on the shirt. These inks have more of a matte finish. These inks are the solution to water based on dark fabrics. They have a chemical process that bleaches out the dye on the shirt to revert it back to it’s original color. We can add pigment to the ink and it then dyes the fabric of the shirt while we print it. These inks have a slight hand before being washed, but after the first wash will have absolutely no feel. The ink becomes part of the fabric. Discharge ink only work on cotton and bamboo, so shirts that have other materials like polyester will get more varied results. Also, exact colors are nearly impossible to achieve, so if you need a PMS match, this is NOT the ink for you. Water Based and Discharge Inks are affected by the fabric much more than plastisol. WE CANNOT GUARANTEE AN EXACT PMS COLOR MATCH OR AN EXACT REPLICA OF A COLOR ON RE-ORDERS. We will try our best, but since shirts are made in different locations and the inks have more of a chemical reaction it’s impossible to 100% predict how the color will be affected. In this method we use Waterbase or Discharge as an underbase (White primer under your design) and overprint with plastisol. Since white is the bulkiest ink this method creates a much softer print after a couple of washes but still has the vibrancy and pms matching of plastisol. Barrel Maker Printing will always use the ink we feel is best for your job, unless you specify otherwise. If you want waterbase or discharge ink, please tell us BEFORE you place your shirt order to guarantee that your ink choice can be printed on the fiber content of the shirts effectively. Due to the process involved in screen printing, we do not make samples of any item. We do, however, offer a press check. During a press check, our customer (that’s you!) stops by our shop to see the first print of their item. It comes with parameters!! Alterations to the color of ink or slight changes to the location of the print can be made without affecting turnaround time. Any and all other changes will affect your turnaround time. And in some cases, drastic changes during a press check will result in an additional 7-10 business days. Not local to us?? That’s ok! We can do a what we call a “photo check.” That’s when we give you a two hour window to send a quick picture of the first print for your approval. It does come with the same few parameters! Once the pic is sent, you’ll have 20 minutes to approve or make changes. Not every aspect can be changed without adding time to your turnaround. You can change: 1. color OR 2. placement. Artwork or size changes will change your delivery date, just simply due to the time involved in making those type of changes. Rest assured, we will always make it just like the mockup. So, in every case, for every job, the best thing you can do is study your mockup and only approve if you are totally satisfied with it. 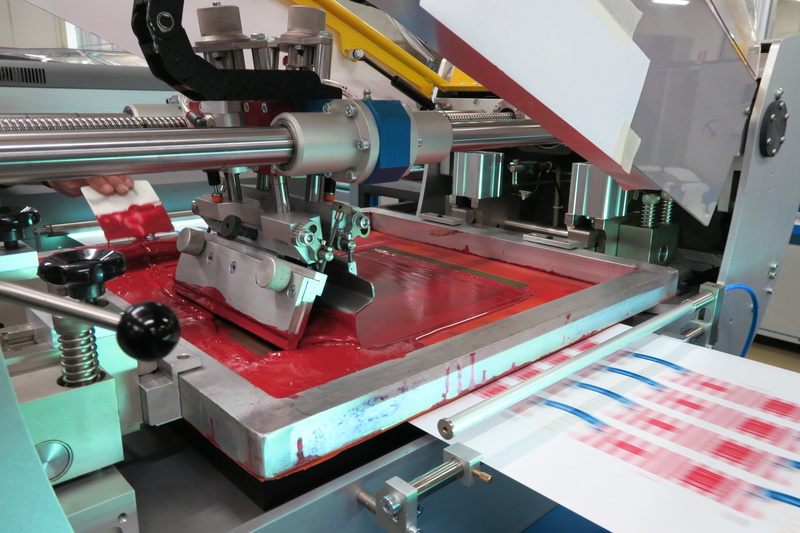 When we print textiles, sometimes we use a lot of pressure to get the ink through the screen consistently. This can create an indentation in the textile that we call a “press mark.” Not all shirts show press marks! And not all designs require enough pressure to make the indent in the first place. However, the good news is press marks are not permanent! They are not longer visible after the first wash, and in most cases can be removed by rubbing the shirt with a damp washcloth. Because they are sometimes unavoidable, and altogether removable, Barrel Maker does not consider press marks an issue. Hence, we will offer no re-prints or issue refunds due to press marks. Color is a tricky thing. It can look different from monitor to monitor, printer to printer, or poly to cotton. Because of this, the best way to do the color dance with us is via a Pantone color book. The colors printed in a Pantone (aka PMS) book are regulated and as close to accurate as two people (you and us hypothetically) are going to see at the same time. Please give us your PMS color, and we will match it for you. We charge $10 a color for this. If you are not really that particular about your tan or turquoise or what have you, our stock color chart is for you!! When you contact us about your order just let us know which color you prefer. Picking a stock color from our chart is free. We can print just about anywhere on your garment. We can even print on things like bulk fabric, bandanas, towels and more. But how big can we print? NOTE: Just because we can print this size doesn’t mean it will fit onto your garment! To have a perfect print, a flat surface is required. If the surface isn’t flat, the ink cannot lay down in an even and uniform manner. In our screen printing shop, we run into this issue when printing over zippers and seams. That doesn’t mean we CAN’T or WON’T print these types of order, it just means that the ink on the print will pool in some places and be missing in other places. It is impossible to get a perfect print. These imperfections are due to the surface being bumpy, and are not predictable. They may be different each time we print it! Please be aware of this if you choose to order this type of design. Custom printing is an art form. We do our very very best to deliver your exact quantity ordered. That being said, there are many things that can go awry in the order and print process that are not in our control. Barrel Maker Printing will not be held responsible for spoilage on up to 3% of the order total. In some cases extra garments will be included in an order. These are extras we supply in an attempt to keep spoilage percentages as low as possible. However, this can also mean a shortage of up to 3% on your order. Upon completion of your product all the garments are counted and if the order is short at all we credit back your account as soon as we send out the order. We realize that sometimes exact quantities are needed. Please let us know when you placing your order that this is what you need, and know that this may add days onto your turnaround time. We also recommend ordering a few extras to account for this.